Philosophers are concerned with finding explanations to the existing area of knowledge to enrich ourselves with more information and enhance a deeper understanding concerning the very existence and the experiences of people. Nursing is a field of study with meta paradigm. This allows nurses to express and differentiate themselves from other disciplines. Meta paradigm enables nurses to articulate what they do and who they are. Reaction world view is based on mechanistic, totality, persistence and particulate deterministic foundation. This philosophical world view considers human beings in different perspectives. For instance, the mechanistic foundation recognizes humans as bio-psycho-socio-spiritual beings. 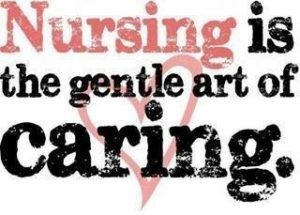 These aspects apply to the nursing profession. As such, they can communicate who they are and the duties and responsibilities expected of them in the society. Reaction world view as philosophical world view considers nurses as people who can initiate and implement change in different environments. They can measure and control such changes to realize appropriate results and promote well being of people in the society. Reaction world view combines all the activities which are carried out by nurses. This philosophical world view outlines the roles and responsibilities of nurses and how they initiate and implement programs in different workplace environments. It considers nurses as people who react to external environmental stimuli and survive such stimulus by adopting the established programs. Health disparities affect people at different levels. It is a phenomenon that can easily be determined based on various factors such as education, ethnicity, income level, sexual orientation, gender identity and culture among others. Health disparities can be seen on various social determinants. They include where people are born and raised, age and the kind of work performed by an individual. Health disparities can be eliminated in clinical encounters through better communication, culture vision, providing tools that can be used to care for diverse populations and providing cultural competency training and resources. Butts, Janie B. “Components and levels of abstraction in nursing knowledge.” Philosophies and theories for advanced nursing practice (2011): 89-112.